THIS POST may not fit the theme of this Web site and it was probably worth including only in the daily links, but the sheer abuse which is the ACTA absolutely deserves more attention because it’s deliberately kept secret [1, 2, 3, 4, 5, 6, 7, 8, 9, 10, 11, 12, 13, 14, 15]. It’s rare for governments to acknowledge its existence, but here is a new exception. Currently, according to the Commission, Australia, Canada, South Korea, Mexico, Morocco, New Zealand Singapore, and Switzerland participate in the negotiations, along with the talks’ initiators the US, Japan, and the EU. A long term goal is to involve the large developing economic regions of Russia and China in the ACTA process. The paper succinctly states that enforcing intellectual property rights in these regions could stand some improvement. 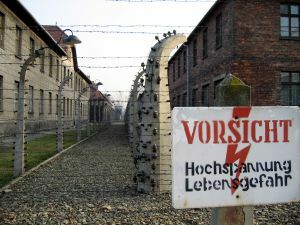 Previously, observers had levelled sharp criticism at the ACTA process. Above all, the Commission faced criticism of its practice of closed door-negotiations without involving representatives of civil society and without releasing any information about the plan. As this article shows, they parrot the propaganda so commonly generated and spread by the copyrights cartel, including disinformation about lost revenue and jobs (what revenues and whose jobs?). The Commission was either brainwashed or bamboozled. The reason the ACTA got leaked a few months ago is that someone possessing inside knowledge was concerned. A person was concerned enough to take the risk of informing the public. Well, according to Glyn Moody, new laws are now being devised to treat those ‘nasty’ leakers as though they are terrorists. It’s censorship, it’s suppression, and it’s abominable. Clearly, this law will have a chilling effect not just on people wanting to leak information that is embarrassing to the government – since it becomes even harder to resist exaggerated responses of the kind we have seen recently – but on any kind of journalism or blogging about civil liberties. The sickening slide towards the police state continues apace. A French court has ruled that foreign retailers must warn consumers to pay the country’s so-called “iPod tax” copyright levy on MP3 players ordered online. People are considered “thieves” by default. They never receive the chance to prove otherwise and they are forced to compensate (in advance) the copyrights cartel for something they never did. Another noteworthy cause against suppression comes from the EFF, which helps battle the monitoring of the ‘crowds’ (to keep them ‘under control’ by an elite minority that serves its own interests behind closed doors). On Tuesday, December 2, at 10 a.m., the Electronic Frontier Foundation (EFF) will challenge the constitutionality of a federal law aimed at granting immunity to telecommunications companies participating in illegal domestic surveillance. At Tuesday’s hearing, EFF will argue that the flawed FISA Amendments Act (FAA) improperly attempts to take away Americans’ claims arising out of the First and Fourth Amendments, violates the federal government’s separation of powers as established in the Constitution, and robs innocent telecom customers of their rights without due process of law. Signed by President Bush earlier this year, the FAA allows for the dismissal of the lawsuits over the telecoms’ participation in the warrantless surveillance program if the government secretly certifies to the court that the surveillance did not occur, was legal, or was authorized by the president. Attorney General Michael Mukasey filed that classified certification with the court in September and is demanding that the cases be dismissed. Wow. This is pretty serious.